Here's a description of the title, which Mark fell in love with during his time with it at E3 last year. Armed with your Pa's old handbook and workbench, you must gather, mine and craft your way to being crowned the number one workshop in Portia. Help the locals rebuild the town and uncover the secrets locked deep away beneath it. Be prepared though…it won't be easy! The town of Portia is full of friendly new faces for you to meet. Make friends, complete requests, exchange gifts, go on dates and let romance blossom! According to the store listing, the game will take up about 2.6GB of space on your hard drive. 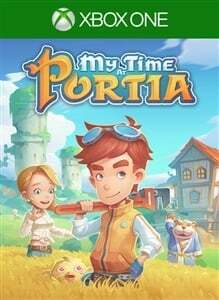 More importantly, we now have a release date — My Time at Portia will release on April 16th. We've got the full list of My Time at Portia achievements - check the list for guides to unlocking them.